Ministering in rural communities – For the fainthearted . . .
For the first time in my ordained ministry, I recently found myself a member of boards of nomination for vacant parishes; it was not an encouraging experience. Applications were not plentiful and faithful church members found it hard to understand why there were so few people interested in coming to be their pastor. Given the emphasis of so much of the Church of Ireland on “mission,” about which we so regularly read in the Church of Ireland Gazette, I must say I share a sense of their disappointment. There are great opportunities in many places for ministry with enthusiastic people. In my own parish, we have benefited from the ministry of our local Faith Mission evangelist, who runs an excellent new centre in the county, and have experienced growth in both membership and attendance in one of our churches. Our Christmas congregations were over 400 last year and at Easter we had over 250; similar numbers would be experienced in many rural parishes. In Co Laois, the Church of Ireland population compromises a larger element of the population than in Newry and Mourne, in the county we have thriving primary schools, including two newly built ones, and a community that is not only viable, but hopeful. 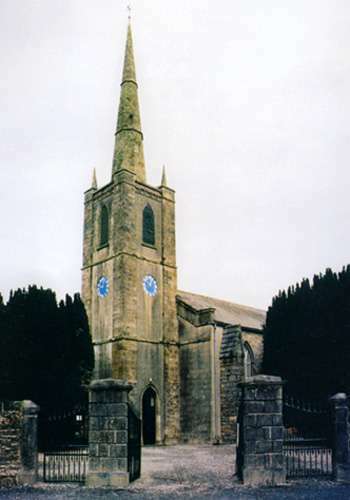 Having ministered in parishes in Co Down and in Co Antrim, I know it would be financially challenging for a clergy family to move across the border; taxes, medical expenses, and the cost of living cut into stipends that are not as generous as those in Northern Ireland, but perhaps there are people who would consider ministry in rural parts of the Republic if they did not think they would never be able to return. Were it not for the rigidity of the appointments system, might it not be possible to have people to come on secondment? 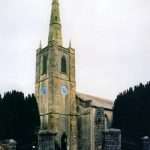 The Church of Ireland’s response to the opportunities before us seems not to act with imagination and flexibility, but to follow the path of retrenchment and withdrawal, the commission on episcopal ministry and structures being the latest indication by the church that it has understood neither the nature of our communities, nor what might be achieved by visionary leaders. Thankfully, my presence on the boards of nomination arose only because I was the last supplemental member elected and will not happen again. I feel sorry for the good and faithful servants elected by parishes who feel their churches have been left like sheep without a shepherd and hope that it is surely not beyond the wit of those who sit at meetings in Church of Ireland House to introduce new patterns of ministry.